If you are in need of an electrician for your home in the Southborough, Massachusetts, area, look to the trusted professionals at VMA Electric. We’ve been providing comprehensive service to local residents since 2008, and we can handle any type of job – no matter how large or small. We provide a full range of services including custom lighting installation, backup generator installation and service, electric panel upgrades, whole-house wiring, home automation system installation, and much more. 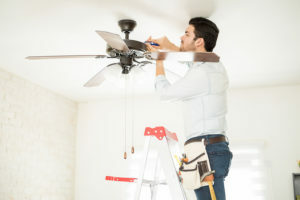 We also provide general repairs and troubleshooting, and have a home electrician on call 24 hours a day in case an electrical issue, such as a sparking wire or overheating outlet, occurs in the evening or during the weekend. Additionally, our owner – Victor Archila – personally oversees every project we are involved in to ensure our customers receive the level of service they deserve. Contact VMA Electric today and let us demonstrate why we are the home electrician of choice among residents of the Southborough, MA, area.